My husband Tim and I recently had the pleasure of working with Ellie throughout my pregnancy and during the birth of our first baby. A close friend recommended Ellie to us and we were immediately struck by her passion and knowledge regarding pregnancy and the birthing experience. 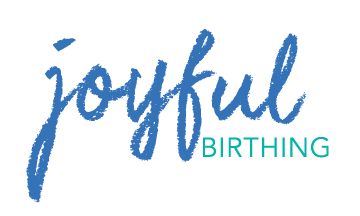 We also had the opportunity to take the Hypnobirthing class with Ellie and found this to be incredibly beneficial in preparing for our birth as well as on the day of our birth. Ellie made herself available and was incredibly responsive and helpful in the weeks leading up to our birth. As I passed my due date and was approaching the 42 week mark, Ellie consistently checked in and provided suggestions to help us get the process moving naturally. Ellie’s support throughout my labor was invaluable. She was attentive to my needs and flexible in her role. She and my husband worked as a team to support me in staying present, calm and grounded even as my labor became challenging. She also was of great support when we were faced with some difficult decisions and helped us to process the information presented and make informed decisions that were best for myself and our son. Following his birth, Ellie continued to make herself available and provide us with further information to help us adjust to all the changes associated with becoming new parents. We wholeheartedly recommend Ellie to anyone seeking support and guidance leading up to and on such an important day.